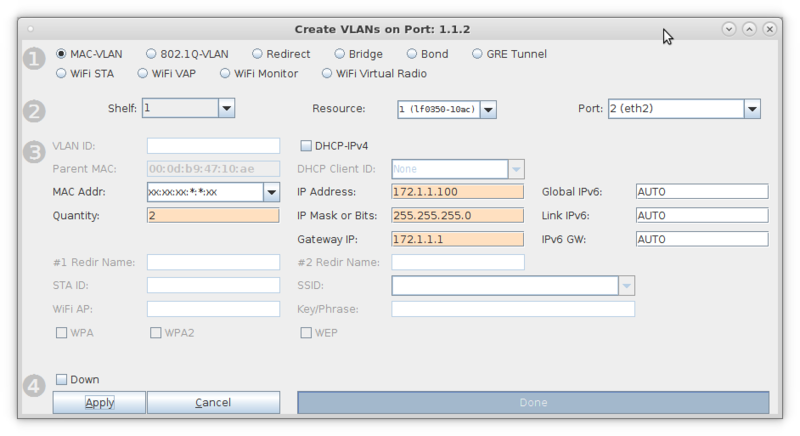 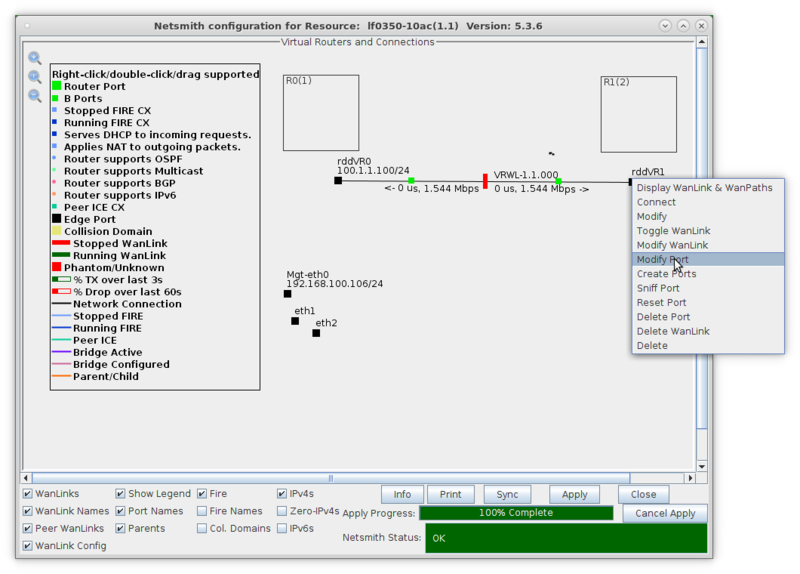 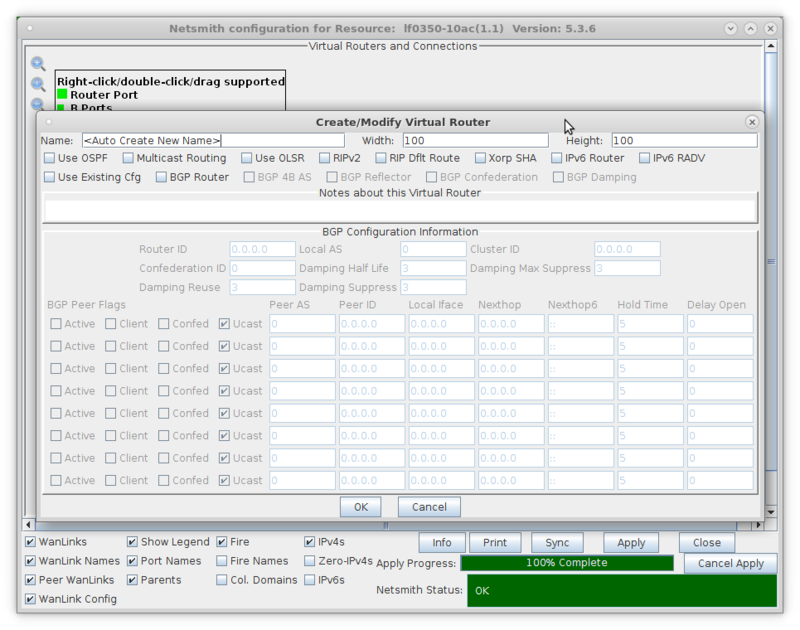 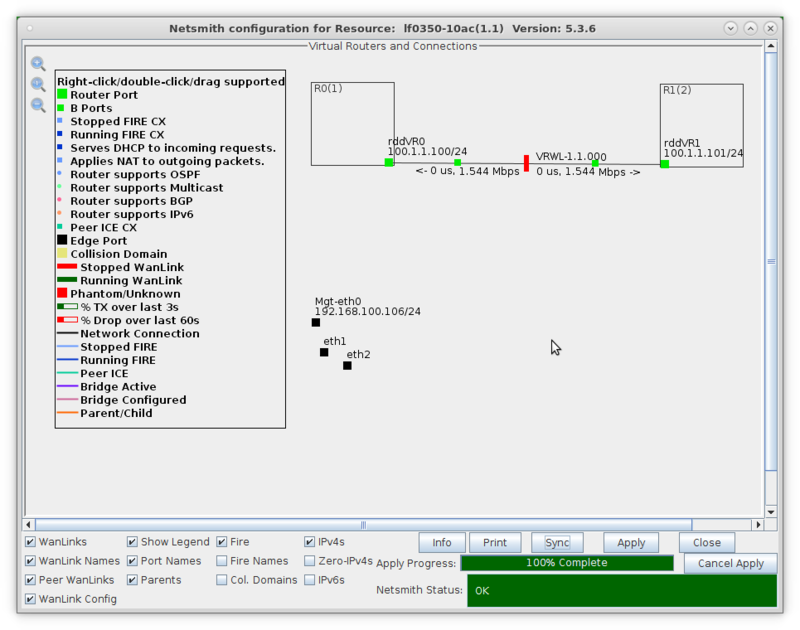 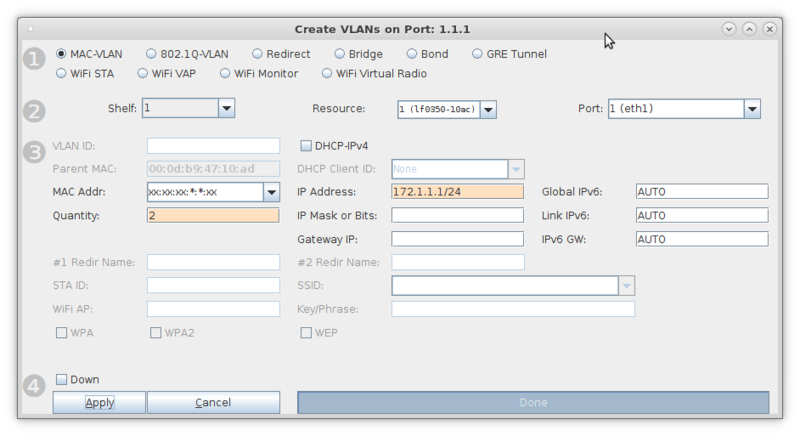 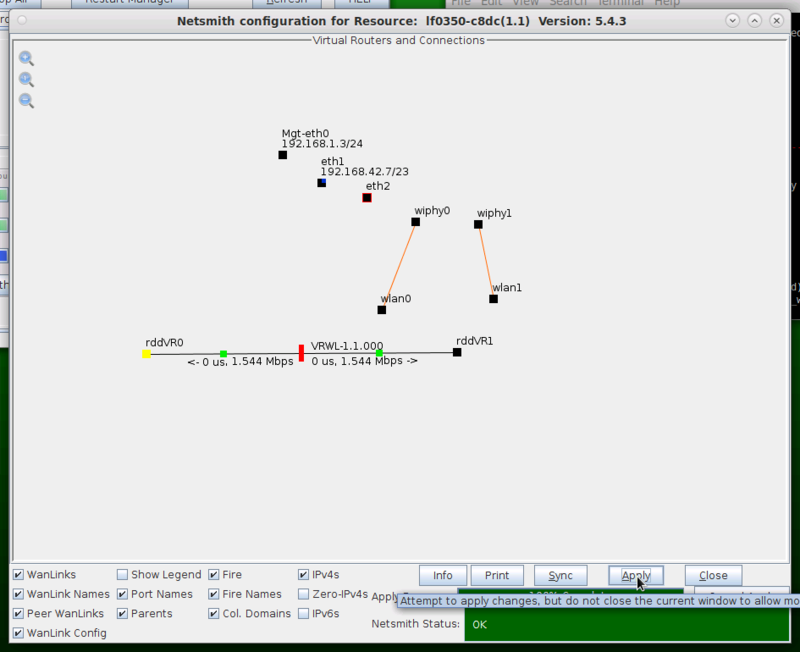 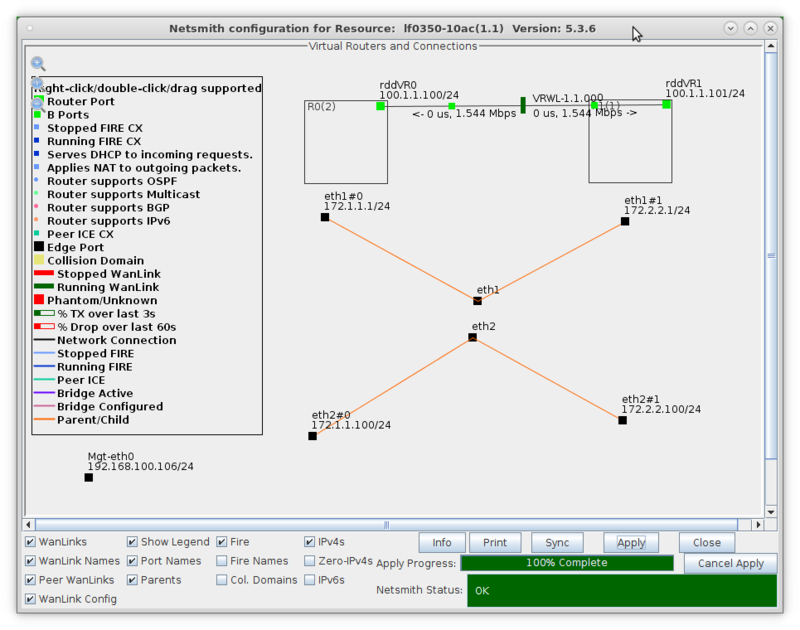 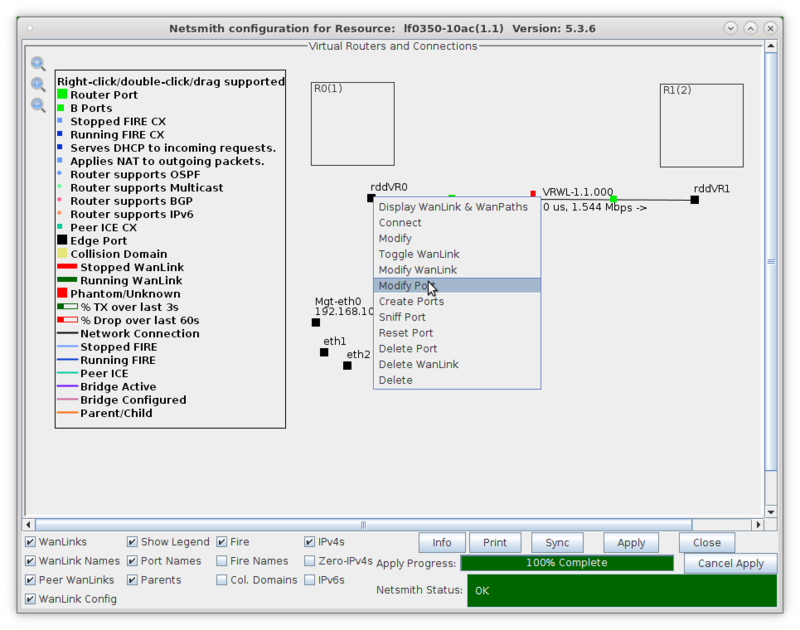 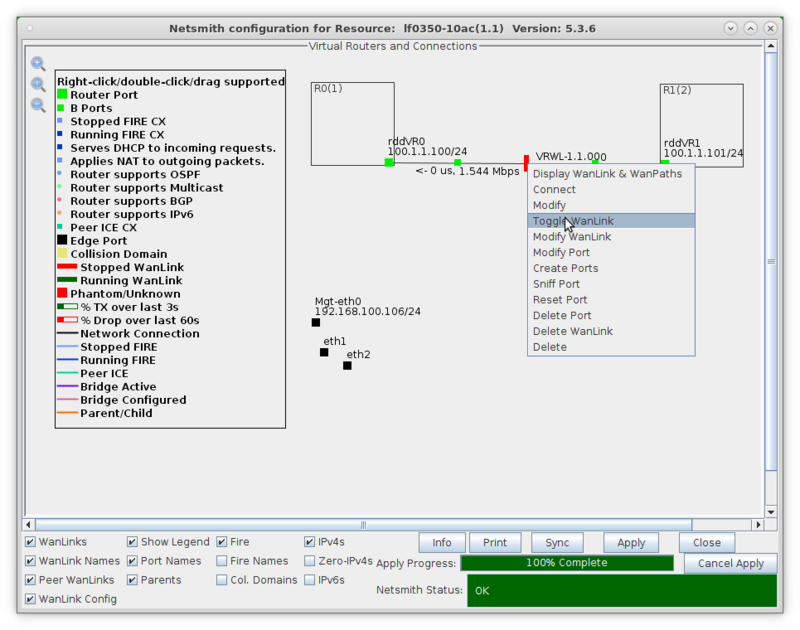 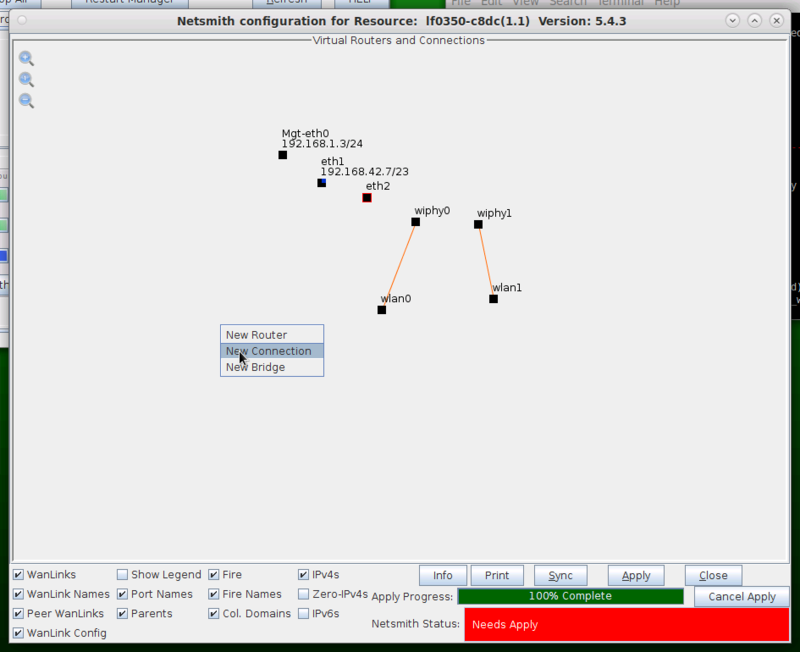 Goal: Setup a Routed Mode WanLink between two Virtual Routers that only use one physical port. 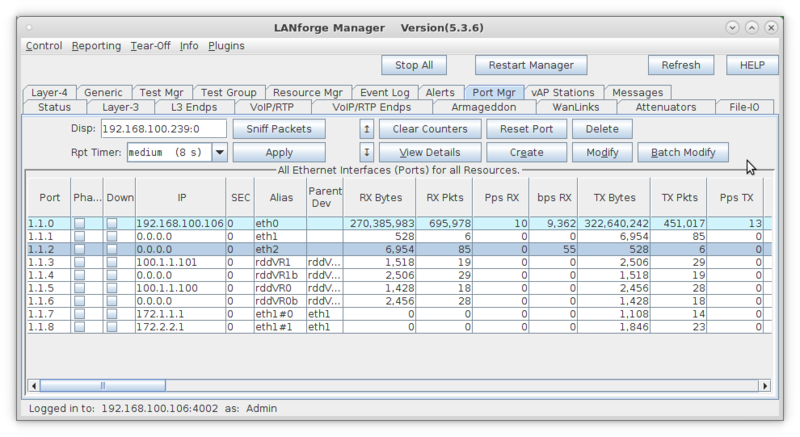 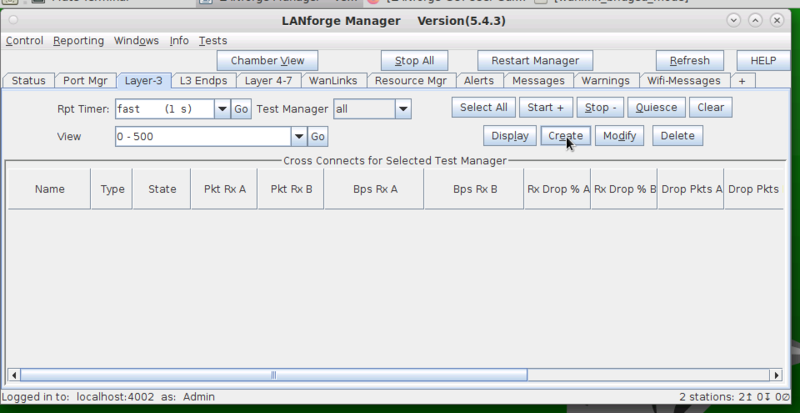 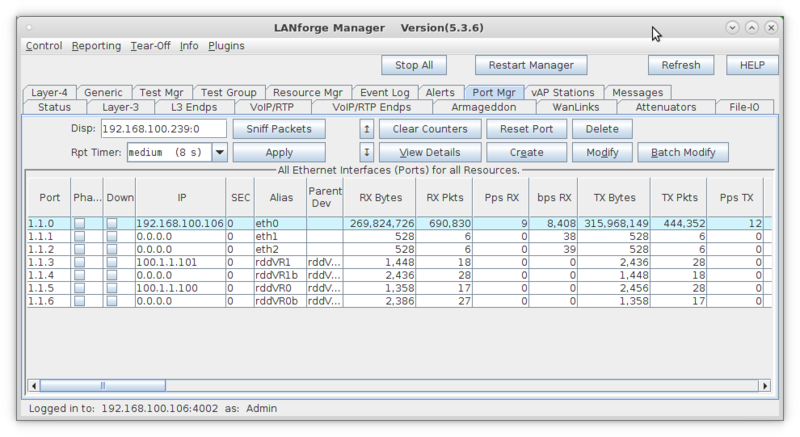 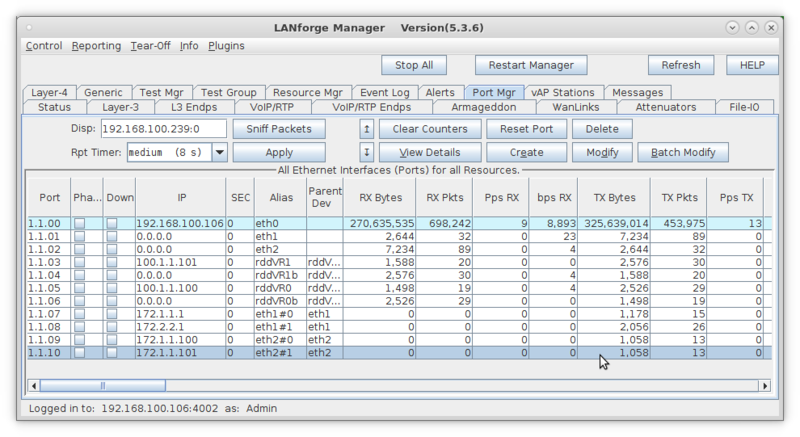 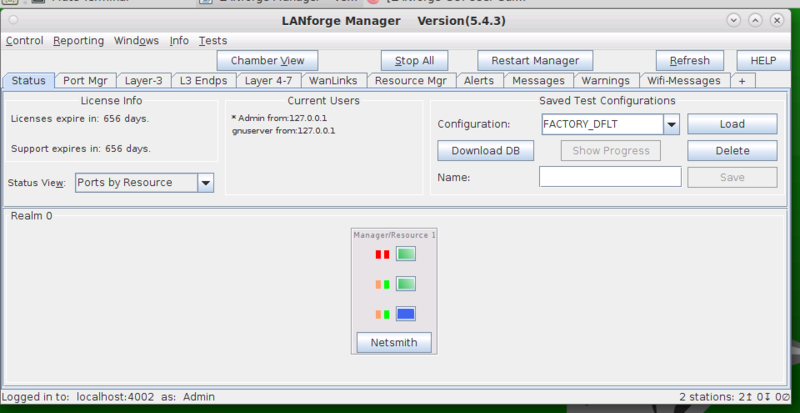 In this test scenario, LANforge-ICE is used to simulate a routed network where a single physical port is used for incoming and outgoing traffic. 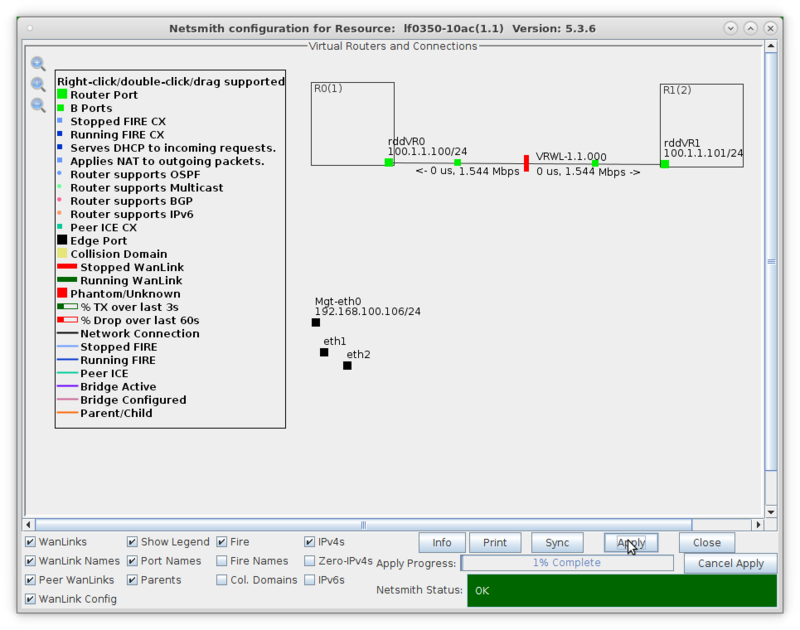 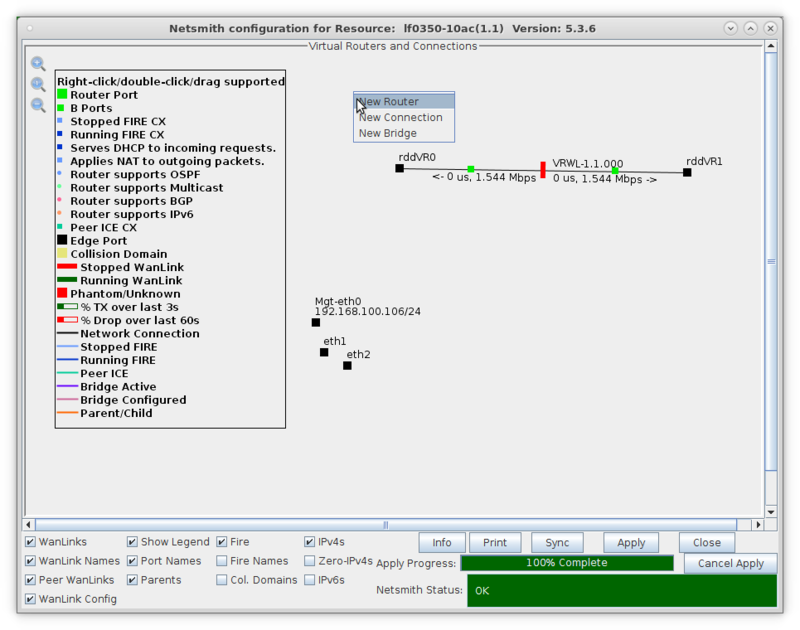 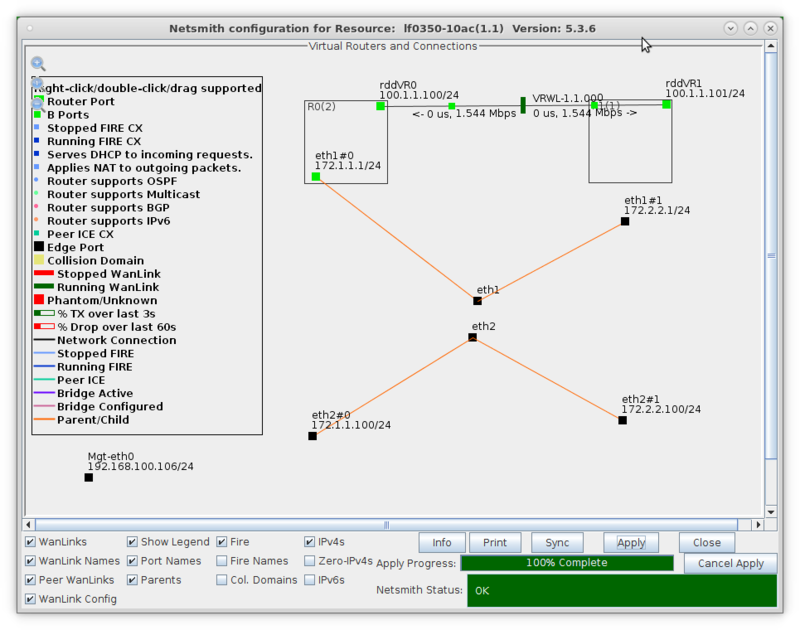 The traffic will enter the physical port and will then be sent through two Virtual Routers connected by a WanLink and then back out the same physical port. 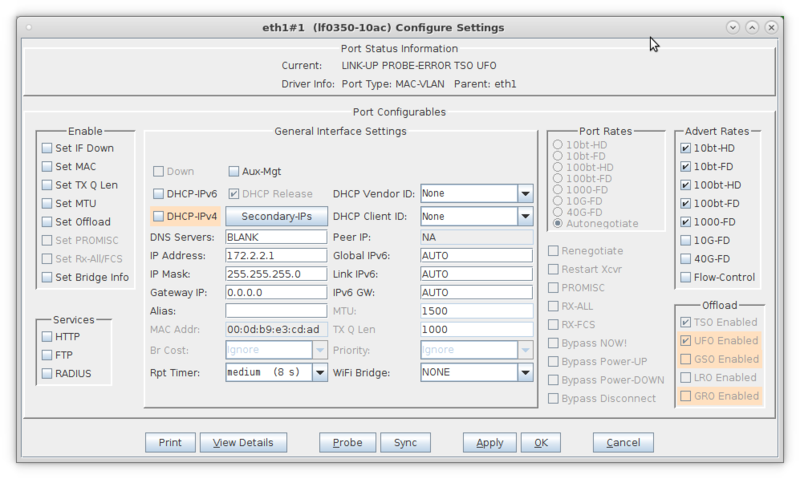 Setup a Layer-3 UDP connection between MAC VLANs eth2#0 and eth2#1.